The flagship restaurant, where the open and energetic kitchen orchestrates food from the Grill's extensive menu of Mexican favorites. Tues-Thur, 11am-10pm; Fri-Sat, 11am-11pm; Sun, 11am-9pm. I travel for work to Pikesville. I discovered this little restaurant about 6 months ago. Everything I have tried has been great. Kudos to the chef! 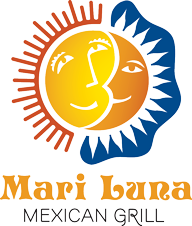 Mari Luna in Pikesville - You've got to try them!! From the outside, it's not very impressive and inside is small with about 20 tables. The patrons that were there were "regulars" and knew the staff - very friendly environment with delicious food. Fabulous Mexican food. The Fajitas are excellent. The service was excellent. And the people were friendly!